Between the mountains of Thanksgiving and Christmas lies the valley of Advent. On the one hand, Thanksgiving, with its wonderful smells and football games and family gatherings, is filled with familiar sights and sounds and autumn colors. On the other, Christmas, with children laughing, silver bells, Christmas carols, the smell of pine and candles, and the Babe in the manger, is warm with love and memories. Between them comes Advent: grey, dark, cold, barren, an empty season; a season of waiting. Or so it seems. In his article “Transcendence and Immanence in Sacred Art and Architecture,” Kevin Seasoltz shares some insights that may well be applied to the Advent spirit described above. Part I of this paper will examine some of those insights and show how liturgical music specifically addresses them and offers a solution for their negativity. Part II will address the dynamic of immanence and transcendence as found in the season of Advent, and Part III will discuss the Advent liturgy and analyze specific pieces of Advent music that evoke a sense of immanence and transcendence. Seasoltz speaks of “the human need for both an experience of transcendence and immanence to overcome humankind’s isolation, introversion, and loneliness” (403). We find this experience of transcendence and immanence in music, especially liturgical music. Music is transitory, perceived by only one sense, and quickly dissipates. Transcendence stems from the very essence of music. “Sound events like music or speech are impermanent events which exist for the listener only in the doing of them” (Foley 110). Music is intangible, composed of vibrations in the air. Its apparently unsubstantial nature is one reason it has symbolized the mysterious and wholly other since the dawn of creation. “This elusiveness of form and content is part of the reason why music is so often used for communicating with the spirit world” (111). Works of visual art are created and remain in place until they are moved; music has no dimension. It is a disembodied art; it exists in time, it floats in the air, and it is gone. It can constantly change. Music is a most spiritual art, and it has the greatest effect on us as human beings. It can frighten us, soothe us, move us to action. The lullaby was probably among the first musical creations on earth – the primordial image of the mother rocking the child. And being spiritual, it is the only art of earth that exists in heaven where all that is not music is silence. Yes, music is transcendent. But music is also immanent. It is deeply personal: the sigh that rises from the depths of the soul, the shout of joy, the sob. It is part of the very fabric of our being. In vocal music, we are our own instrument. Music is Pneuma, breath. Mary burst into song with her Magnificat (Lk 1: 46-55); Zachariah sang his Benedictus (Lk 1:67-79); the angels sang at Bethlehem (Lk 2: 13-14); when words are inadequate, music fills the void. “[W]e long for… communion with something or someone who is other and greater than we are” (Seasoltz 406). This “someone who is other and greater than we are” can be found in liturgical music. Music offers itself as a powerful symbol for the divine Self who is recognizable while remaining unnamable (Foley 118) . Music is an integral part of worship. “Music wed to ritual places music’s revelatory power at the very center of belief” (120). Prayers that are sung make a greater impression and are remembered more frequently than spoken words. “In addition to expressing texts, music can also unveil a dimension of meaning and feeling, a communication of ideas and intuitions which words alone cannot yield” (Bishops’ Committee on the Liturgy 14). Music assists worshippers to be totally immersed in liturgy. Plato believed that poetry was so engaging that listeners were unable to distinguish themselves from the poetic event. The Kabbalistic mystics stressed music’s vital role in contemplation, and the great philosopher Maimonides (+ 1204) along with some Christian counterparts of his era was distressed by the power of music and poetry to distract worshippers (Foley 10). Seasoltz continues: “On the one hand we are often intensely individualistic yet on the other we long for community” (406). This longing for community finds its answer in liturgical music which by its very nature fosters the experience of community. “To open someone’s ears” is a basic expression for communication with another. There is no “earlid”; the ear is open to every sound. “Thus the ear is the metaphor for human beings born open to engagement, not just with sounds but with people who produce them. Consequently the ear could be considered a physiological metaphor for relationship” (Foley 112). When we participate in a musical event, we are engaged with the musicians as well as with the others who hear it, “uniting the singers with the song, the singer with the listener, the listener with other listeners, and even in a new way the listener with her or himself” (112). To join one’s voice with others is to be part of a family. Seasoltz continues: “The artist …is deeply conscious of our contemporary poverty of spirit. He sees the human condition as one of agonized longing, of need, of insufficiency” (404). And again, “We perhaps feel that we are looking at the figure of every man and woman … waiting for what we do not know” (405). The desire to know our future and plan for it is deeply ingrained in our nature. The contemporary world acknowledges this need with long-term care plans, retirement accounts, and the like. But the liturgy responds to that yearning. The songs we sing in liturgy, songs of hope, songs focused on the future, bind us together and help us to break through immanence and conquer the false dimensions of our technical world, “to be transported, as by wings, to comprehend transparency” (Goldbrunner. Holiness Is Wholeness 52). Thus we have seen how the music of the liturgical year speaks to the negative insights that Seasoltz describes in his paper. The need for both transcendence and immanence: transcendence to reach above our horizons to a greater Someone, and at the same time immanence, to feel a close connection with those around us: these needs are served by liturgical music, both immanent and transcendent in itself. The season of Advent is both transcendent and immanent. It transcends time: it addresses the past, the present and the future. “Advent, in its eschatalogical dimension, is also a waiting for the judgment; at the same time it is a beginning of the eternal kingdom of glory. The dimension of future penetrates the teaching of Jesus in every Gospel” (Wolker 110). The early Church referred to Advent, not just as a season of preparation for the coming of Christ in history, but to the very coming of Christ in the flesh, Christ incarnated in the community, Christ coming at the end of the world. No longer are we isolated, introverted, and lonely. The first Preface for Advent speaks of the two comings of Christ: in humility at his birth and in glory at his final return. The promise from the distant past is thus remembered, along with the present and the future: “Now we watch for the day…when Christ Our Lord will come again in glory” (Sacramentary 375). The Prayer over the People for the first Sunday of Advent refers to our belief that the Son of God will come again in “the light of his holiness…when he comes again in glory” (3). Our prayer transcends time and space. Advent engenders a sense of immanence that can be found in its spirit of quiet simplicity between two “larger” celebrations. “We are pilgrims, always on a pilgrimage. The goal is eternal” (Wolker 118). Just as the days of late Fall are shortened, and the nights seem too long and dark, so Advent also is a gray, almost colorless time, but there is faith in the middle of darkness. “Advent is the season of the secret, the secret of the growth of Christ, of Divine Love growing in silence” (Houselander 28). 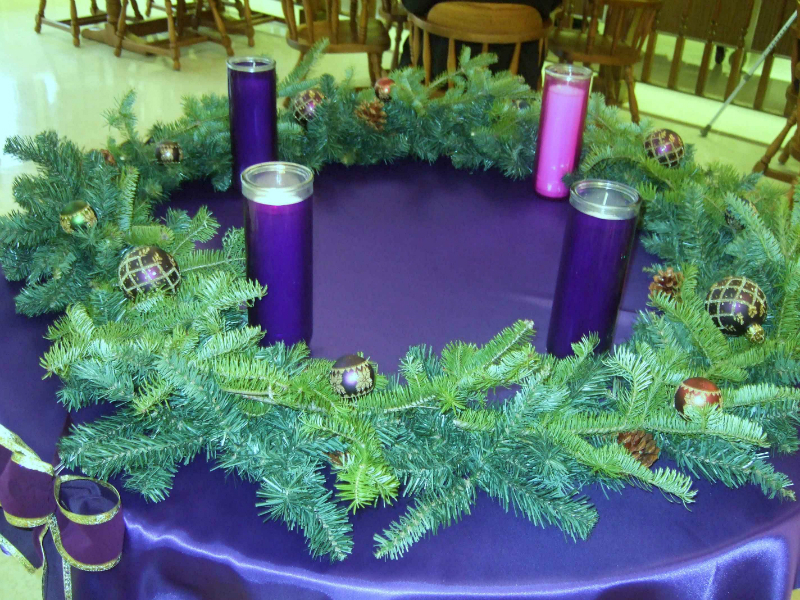 The Advent Wreath quietly reaches our deepest selves: the simplicity of a family tradition, the mysticism of evergreen with no beginning and no end, four candles that mark the time of waiting. “Advent” itself means “coming, arrival,” preparation, a waiting time. But there is a difference between “waiting” and “expectation.” Waiting implies stasis, a stoppage or slowing: waiting for an appointment or waiting in traffic, a more or less empty “killing of time.” Expectation, on the other hand, implies excitement, activity, joyful anticipation. 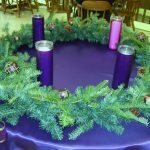 “Expectation” is the better word for Advent. Advent responds to the human need to have a future to draw us on through the commonplaces of everyday life. “Any vision of the future creates a powerful impact on the present” (Goldbrunner. Dimension of Future 7). “We wait in joyful hope” (Ferrone 1). In the midst of all the quiet anticipation, the Advent darkness, the solitary star of the Immaculate Conception appears. It is fitting that she, who understood so well humanity’s struggles and who gave her total “Yes” to God, should be venerated as a model of who we are and what we should become. It is fitting that the Gloria be sung on her feast – she points us towards Christmas and the Coming. The spirit of Advent is transcendent and immanent, reaching beyond time and space, yet echoing in the depths of our souls. It is cosmic, and at the same time, comforting, larger than life, yet totally intimate. It speaks to our deepest needs and gives us hope for the future. It brings the promise of a Baby’s cry, and a loving Judge Who will come in glory. In this season of expectation, less is more. Advent is a special time, a quiet time. While the world prepares noisily for “the holidays,” the Advent people quietly draw together in the hope of the future. As the last weeks arrive, the pace quickens and the message grows more intense. The Third Sunday, Gaudete Sunday, urges us to rejoice: “The desert and the parched land will bloom” (Year A) (24), “The spirit of the Lord is upon me” (Year B) (25), “Shout for joy, O daughter Zion!” (Year C) (26). Now John has become the messenger, and the Promise becomes even clearer. The Fourth Sunday speaks to the imminent Coming of the Lord in history. The sign of the virgin bearing a son (Year A), the promise to King David (Year B), and the reference to Bethlehem, “too small among the clans of Judah” (30) – all point in greater detail to the day when Advent will blossom into Christmas. The Gospel tells of Joseph and his concern for the pregnant Virgin (Year A). Year B refers to the Annunciation, while Year C recounts the story of Mary’s visit to Elizabeth. The time is approaching. The slow but steady crescendo towards Christmas continues. Preface II which is used from December 17 to 24 refers to “the virgin mother [who] bore him in her womb with love beyond all telling” (Sacramentary 377). The excitement during this last week of Advent increases, and. the liturgy seems almost beside itself with anticipation: December 20 refers to the Annunciation (31), and by December 23 the opening prayer reads: “He was born of the Virgin Mary” (34). 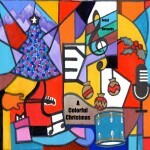 What about the music of the season? Does it reflect the longing, and the growing excitement? Can it compete with the Christmas Carols that have been played in the department stores since before Thanksgiving? Several selections from Advent music will be presented and analyzed with respect to their implicit expression of the transcendence and immanence of Advent, both musically and texturally.. The Service of Advent Lessons and Carols is a centuries-old tradition in the Christian church. The text of one variation of this Service follows, with notes on the music (composed by Matilda Jane Kraemer) and a brief interlinear commentary. The mood is expectation: looking from afar, straining to see into the distance, a distance in time or space. The power of God so great that it can be perceived from a distance – but only by those with the courage and perseverance to look for it. The cloud covering the earth; this is Shekinah, the brooding presence of the Spirit; the immanence and the transcendence of Him Who becomes incarnate in our history. The Advent people are no longer isolated individuals, but united in their waiting. There is equality here; prejudice and materialism are replaced by the Promise of the future. He is here; but we must go out to meet Him. We must leave our comfortable lives and find Him in the poor, the lonely, the other. We ask Him not just to listen, but to hear us. “He that hath ears to hear, let him hear!” The Scriptures are fulfilled; we know the caring compassion of the Lord. We repeat the question even more boldly; there is urgency in our demand that the Lord stir up His strength and come to us. We are tired of waiting. The music mirrors the words. Music, as has been stated, is a disembodied art, and words are a feeble attempt to describe it. The feeling of happy expectation is reinforced by the use of the Key of D Major throughout the piece. “I look from afar” is a bass solo, starting low and rising a fifth in the first two notes, giving an almost Eastern flavor. “I see the power…” is in a higher register, underlining the feeling of triumph. “And a cloud …” is quieter, almost veiled, reflecting the meditative and mystical character of the words. “Go ye out…” each time is chanted as a simple refrain by the SATB choir. “Tell us…” is sung on a higher pitch, in an almost demanding tone. “To govern…” is calmer, descending to a quiet cadence. “High and low” is a soprano solo, starting on a high pitch and gradually descending until the words “one another” end simply on a low tone. How often do we hear the words “Fear not” in the Infancy Narratives? “Tomorrow” – the Advent “tomorrow”, when Christ comes again. “Come aside and rest awhile”. This is a season of waiting. Marana tha! We go forth, inspired by the eternal promise – the call to perseverance and hope. The Eternal Community, the most Transcendent, the Source and the Goal. 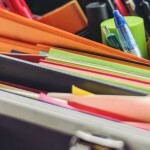 Repetition – a reminder of God’s quiet Presence in our lives. The music for this section is also in D Major, tying the entire ceremony together. 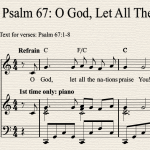 The SATB choir repeats “Tomorrow go ye forth…” each time, using a melody reminiscent of a psalm tone. The last time repetition of “The Lord, He will be with you!” breaks into a melismatic melodic line, widely spaced, with the sopranos triumphantly singing the highest notes in the entire composition. “Stand ye still” is an alto solo, limited in range for the first phrase, but rising for “the salvation of the Lord.” The Doxology is sung by the soprano soloist. The melody of the Doxology is syllabic, ascending in the first phrase on chord line, and returning to a lower register at the last phrase. The solo voice is symbolic of the voices of all Creation. 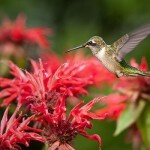 (Refrain) For you, O Lord, my soul in stillness waits/ Truly my hope is in you. This is an excellent choice for an Advent congregational hymn.. The “stillness” of the waiting soul, the immanence, alternates with the verses, variants of the O Antiphons; the words transcend all human longing. 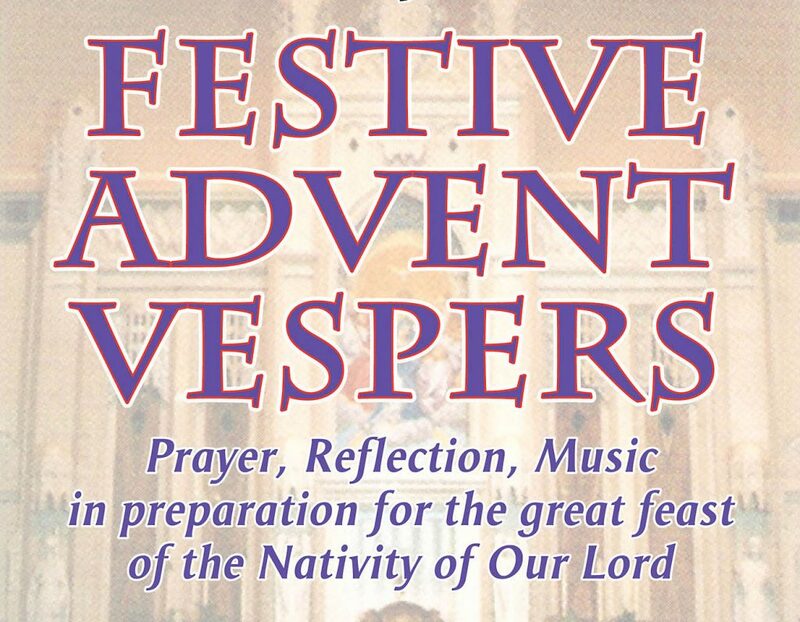 (The “O Antiphons” are sung at Vespers at the “Magnificat” during the last days of Advent. They are: “O Wisdom”, “O Adonai”, “O Root of Jesse”, “O Key of David”, “O Dawn”, “O King of Nations”, and “O Emmanuel”) (Short Dominican Breviary 205). “Peace be to you and peace from him/ Who freed us from our sins,Who loved us all and shed his blood/ That we might saved be. Who was and is and is to come;/ Sing holy, holy lord! For Christ is coming, is coming, /for Christ is coming soon! They need no light nor lamp nor sun,/ For Christ will be their All! This is a choral setting of Revelation 22, and most fitting for Advent. It is written in B-flat minor, an unusual key for choral music, but this choice of key underscores the element of mysticism implicit in the source of the text. The music is syllabic, so the words of the text are very clear, and the direction of the melodic line reinforces the meaning of the words. The piece begins on an ascending line, very simply, almost poignantly, with the ancient greeting used by Christ himself: “Peace be to you”. These words unite the Advent waiting with the Resurrection. When the text speaks of our being “freed from our sins”, it remains in the same limited range. The words “who loved us so” repeat this simple melody, rising on “and shed his blood”. The opening phrase is repeated for the words “that we might saved be”, but the cadence is on a major chord. This melodic treatment emphasizes the shedding of Christ’s blood, followed by the quiet reminder: “that we might saved be”, the major chord adding an aura of finality to the statement. The highest notes in the melody reflect the exultant mood of the words: “Rejoice in heaven…rejoice on earth…for Christ is coming soon”. When the words “For Christ is coming soon” is sung the first time, the melodic line extends above the staff – He is the Alpha and the Omega, the Beginning and the End. The words “Christ is coming soon” are repeated two times after this climax; during the second repetition, the melody slowly descends to a lower pitch in longer notes – almost like an echo – meditatively, but cadences in the major key. Tempo I returns for the final section. The initial minor melody is repeated for the words “E’en so, Lord Jesus, quickly come, And night shall be no more…for Christ will be their All!” The hymn ends as it has begun, reflecting the timelessness of Advent, but it ends on a major chord, with the basses singing below the staff, for He has transcended time. The message of these musical selections is simple: the contemporary world, with all its fragmentation and loneliness, its insecurity and lack of focus, will find its peace in the true meaning of an Advent that is neither grey, cold, barren, nor empty. “We shall not see Christ’s radiance in our lives yet; it is still hidden in our darkness; nevertheless, we must believe that he is growing in our lives; we must believe it so firmly that we cannot help relating everything, literally everything, to this almost incredible reality” (Houselander 29). “And the universe will continue to weep and groan until the coming of Him who has the power to restore and heal all things more beautifully than on the first day in paradise” (Goldbrunner. Realization 58). Bishops’ Committee on the Liturgy. Music in Catholic Worship. Washington, DC: NCCB, 1983. Manz, Paul. “E’en So, Lord Jesus, Quickly Come”. St. Louis: Morningstar Publishing House, 1954. Ferrone, Rita. Sourcebook for Sundays and Seasons 2006. Chicago: Liturgy Training Publications, 2005. Foley, Edward, O.Cap. Ritual Music: Studies in Liturgical Musicology. Beltsville, MD: The Pastoral Press, 1995. Gather, 2nd edition. Chicago: GIA Publications, 1994. Goldbrunner, Josef. Holiness Is Wholeness and Other Essays. University of Notre Dame Press, 1964. – – – . Realization. University of Notre Dame Press, 1996. Hoffman, Elizabeth, ed. “General Norms for the Liturgical Year and the Calendar.” In The Liturgy Documents: A Parish Resource. Chicago: Liturgy Training Publications, 1991. Houselander, Caryll. The Reed of God. Allen, Texas: Thomas More Publishing, 1944. Huck, Gabe. “Planning Feasts and Seasons.” In Music for Catholic Worship, ed. Virgil Funk. Washington, DC: The Pastoral Press, 1982. Lectionary for Mass. New York: Catholic Book Publishing Company, 1970. Sacramentary. New York: Catholic Book Publishing Company, 1985. Seasoltz, Kevin. “Transcendence and Immanence in Sacred Art and Architecture,” Worship (December 2001): 403-431. Short Dominican Breviary, Dublin: Dominican Publications. 1967. The Holy Bible, revised Standard Version, Catholic edition. (New York: Oxford university Press. 2004. Wolker, Ludwig. “Advent, Your Kingdom Come.” In The Dimension of Future in Our Lives, ed. Josef Goldbrunner. University of Notre Dame Press, 1966. Jane, this is a very insightful overview of Advent liturgy. As a liturgical cantor, I am especially interested in the music sung at Mass during these weeks of preparation for the birth of Jesus Christ. Thank you for publishing your masterful paper.